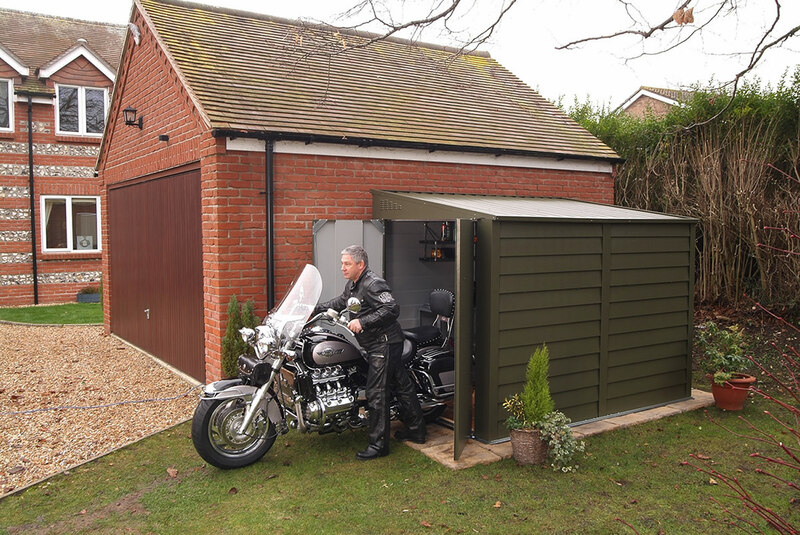 Protect your valuable motorbike from theft, vandalism and the weather with the Protect a Bike range of garages – order yours today. 1) Does Protect a Bike have to be located on a hard base area? Yes, the product is designed to be bolted down (from the inside) onto a hard, flat and level concrete base – these bolts are included with the product. The Protect a Bike is on display at our factory and show site in Blandford, Dorset. 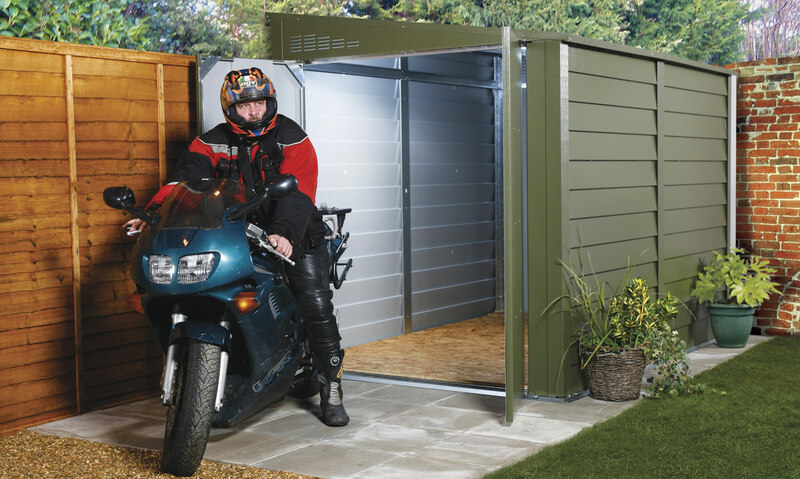 However, our range of Titan garden sheds, which can be viewed at over 40 show sites nationwide, are manufactured from the same specification material as the Protect a Bike so you can get a good idea of the strength and quality by visiting your local show site. Current delivery times are 3-4 weeks from order. 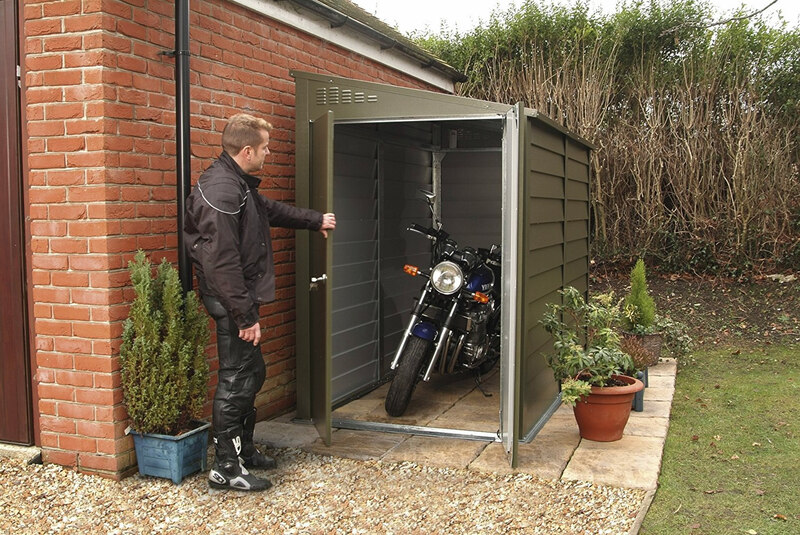 4) Is the Protect a Bike delivered fully assembled or flat packed? The product is delivered in convenient flat packs. For ease of movement the garage is delivered in multiple boxes. 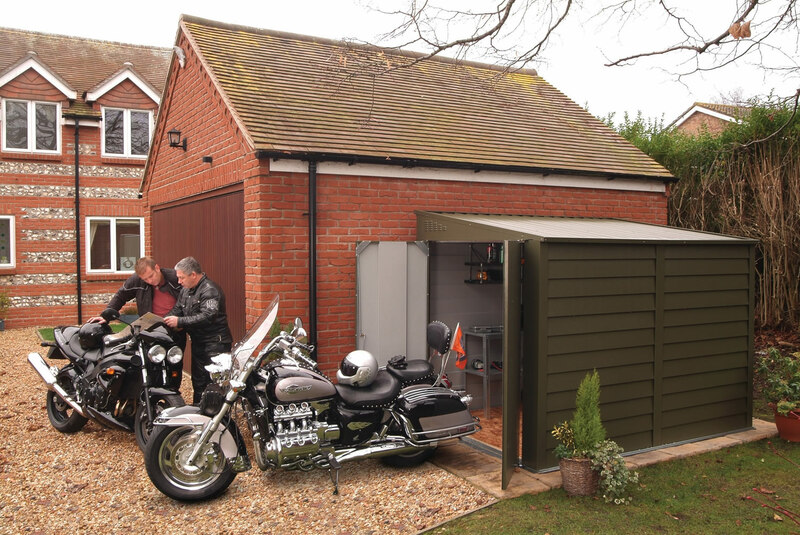 6) How many motorbikes can you fit in the garage? 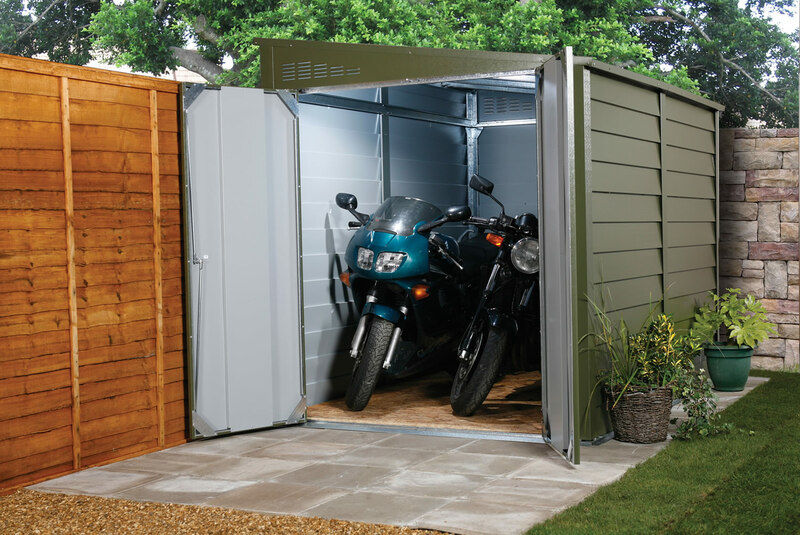 The largest garage (MCG 960) can usually store two machines depending on the style / design of the bikes. 7) How do you secure the Protect a Bike to a hard surface? We recommend the use of rawlbolts or similar – these are included with the product. 9) Does the 25 year panel guarantee apply if I live close to the coast? Yes, the PVC coated galvanized panels will last a minimum of 25 years even in harsh conditions. 13) How many people are required to assemble the Protect a Bike? No, just a pozi drive (Philips style) and flat blade screwdrivers also a 8mm and 10mm spanner. Yes, all garages feature louvred vents in both the front and rear roof gables. 16) Why would I require the optional wooden floor if I have placed the garage on a concrete base? 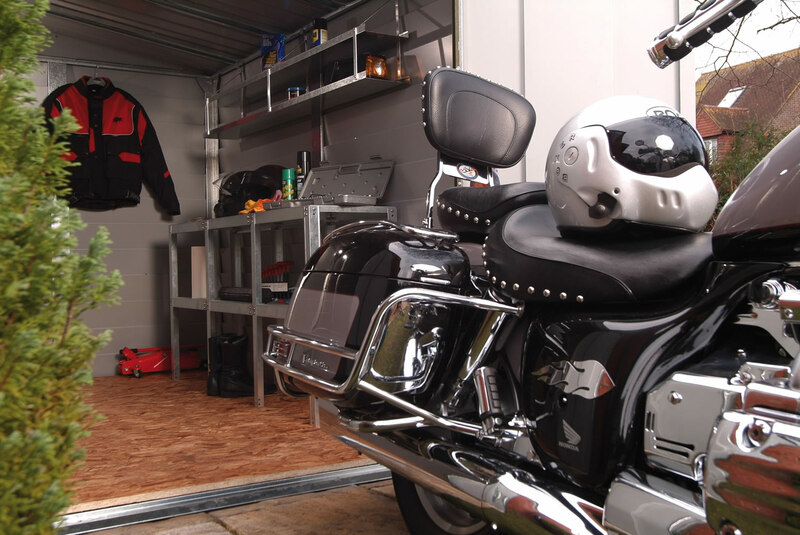 Some customers prefer to keep their bike above ground level – the wooden floor is supplied with metal supports. 17) Can I have windows in the garage? No, we do not offer windows as an option. 18) Can the doors be placed at either end of the garage? Yes, the doors can be positioned at either end. 19) Do your prices include delivery to anywhere? Prices include delivery to UK mainland with the exception of Scotland which is subject to an additional delivery charge. 20) Who are Trimetals Ltd? 21) Do you manufacture anything else? Yes, we manufacture a wide range of superior quality metal storage buildings. 22) Can you send me a brochure of your products?